We returned again this year for a week at this Pelican Watch rental. Lovely view (yes those sunsets! ), attractively furnished condo, well-equipped kitchen. Management went out of their way to provide personal service. Hated to leave. Loved everything about this condo -- location, decor, layout, view -- with one exception -- a very soft mattress that seems to be in need of replacement. Seabrook Exclusives is also excellent to deal with, so we always enjoy our time at one of their units. Pat and I always look forward to our holiday trip to Seabrook. The getaway starts out wonderful when you enter a clean and comfortable 13102. We give management a five star rating for great customer service and personal care. See you next year. We couldn't have been more pleased with our rental! It was exactly as described and so beautifully appointed. The villa was spotless! The staff at Seabrook Exclusives was so helpful! We knew exactly how to get inside, and even got some great restaurant tips from Susan. Thanks also to Betsy for helping us select the best place for our Christmas vacation. We can't wait to return! We had a great stay at Seabrook. The unit was very clean and had a great view. The kitchen was well appointed in terms of plates/pans/dishes/cutlery, although was lacking any basic condiments (cooking oil, spices, etc.) other than salt & pepper. There were not enough paper towels or toilet paper for a week-long stay, but easy to remedy. It was nice to have 2 bathrooms, and we had plenty of space with 2 adults and our infant son. We didn't use any of the amenities, but enjoyed daily walks along the beach. We found the market (harris teeter) to be oddly lacking in some items (diapers/wipes; good seafood as 2 examples) but otherwise adequate. I highly recommend Pelican Watch and particularly a 2nd floor unit. The view is wonderful and we had a true escape. The location was exactly what we were looking for and the unit was equipped with everything we needed and comfortable. The one drawback we found was lack of closet space - it seems that most of the closets were locked "owner" closets not accessible to the guests. And the ones that were open had items in it that made the space challenging. Otherwise, we enjoyed the unit. Pat and I always enjoy our stay at Seabrook Island, It matters to us where we are and how we spend our time this time of year. 13102 is a nice unit, and makes it easy to create memories that are magical and special to us. It has been a ritual of ours to be near the water at the beginning of the new year, and we are truly thankful to be here once again to create magic in a magical place. Listed as sleeping 4. Couch is so old you cant sleep on the fold out. It is not fit for 4. The condo lived up to its description ... living room opens up onto deck with lovely view of the water with frequent dolphin and pelican sightings. Unit was impeccably clean with well-equipped kitchen and shockingly comfortable bed and linens. Our one small problem (non-functioning bathroom sink stopper) was immediately resolved. Easy access to the beach on wooden walkway at the foot of deck stairs. Can't wait to return for another week! The condo was well stocked and beautifully decorated. We loved it! Easy rental company to work with! Clean and cute condo in great location for a quiet getaway! Our stay was absolutely fantastic, the location could not be more perfect. 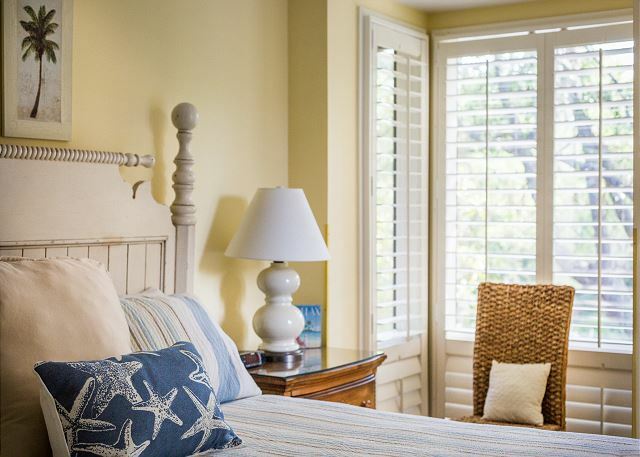 We love the close access to the beach and hearing the ocean waves out our window. The villa was comfortable, spacious and clean, and included absolutely everything we needed. We would highly recommend this property to others! This condo was most comfortable with views and easy access to the beach. The kitchen was well equipped and the photos were an accurate representation of the condo. Great king sized bed. The condo was clean and had all amenities we needed. Bed very comfortable. View of ocean wonderful. Loved it! Everything we needed for a great vacation! Loved the close beach access, shady parking lot, clean villa, and beautiful sunsets! Just enough activities to keep the kids happy. Really enjoyed the dolphins, deer, and pelicans! 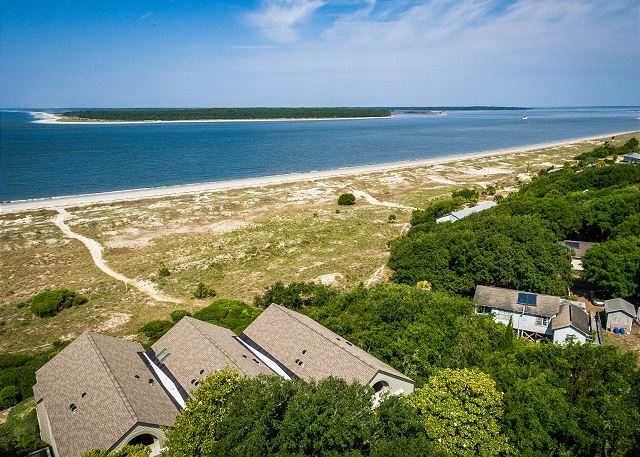 We love Seabrook Island. This has been our vacation spot for 14 years. Honestly I like keeping it our secret. We always have a very special time at Seabrook. We love the family atmosphere and all the wildlife. Was a great view! However, the love bugs were out half the time we were there so could not use the deck most times. Not your fault though. Wanted to go to pool with our amenity card but lot of chairs were dirty or worn. Realize end of season so we would not pay for amenity next time. Plus the bugs were out. Enjoyed walking on beach! the Unit was great and clean. Wifi was weak but hey, we are there for vacation! After nearly 2 decades of not taking a vacation and some much needed R&R Seabrook Island delivered exactly what we needed. The villa was perfect, very clean, amazing location and couldn't have felt more like home. The only thing we would have changed was our departure date as neither of us wanted to leave. We will definitely be back next year! We had a wonderful time on Seabrook Island staying at Pelican Watch. Condo was clean with everything we needed for ten days on the beach. Restaurants and shopping close by was great. The weather for October was hot and sunny just the way we like it. Excellent, just what I needed. The condo was clean and well equipped. The quiet of the water was wonderful. Amazing to watch the wonderful storms come across the water. As always Pat and I enjoyed our trip to Seabrook. The weather was cooperative and pleasant. We were well rested upon returning home, but could have stayed longer. We have been coming to Seabrook since the early eighths and enjoyed every trip. We really enjoyed a terrific stay in this Pelican Watch Villa. It was conveniently located to everything and very was clean and nicely decorated and updated. We hope to return again soon! Seabrook Exclusives is always a pleasure to work with! The beach was ours very few people on it. We have stayed on Seabrook many times over the last 15 years - some times with our children, sometimes with extended family, etc... Last week was the first time since our honeymoon that just my husband and I stayed on Seabrook. We both felt that this was our favorite stay on the island. Our Pelican Watch Villa was perfect - easy access to the beach, comfortable, and accommodating! The villa was set up with everything you need for the beach! Definitely going again next July - and if it is only my husband and I, I'd prefer this Villa again!! It was very clean with all the accommodations we needed to enjoy a romantic trip at the coast. Pelican's Nest were a favorite and Fresh Fields Village had everything else we needed. A day trip to Charleston was an easy drive. One of our favorite vacations ever. view from the deck is spectacular. Kat did a wonderful job of taking care of the arrangements for our stay. We had a wonderful time. Great time, sea brook is truly a paradise. I think the guest meant to put the superlative rating of 5. This was our 16th summer at Sea Brook and we had a great time. My only complaint would be when we called to request more toilet paper, we were only brought 2 rolls. Great condo. Very clean and well equipped. A safe environment, surrounded by natural beauty of the ocean and nature. Once again, we had a wonderful time at Seabrook. The weather was wonderful, ocean warm, restaurants great and the villa was perfection! Peaceful setting. Beautiful sunsets. Loved seeing deer on the beach and dolphins playing in the water. My husband & I have been viiting Seabrook Island for over 25 years alone with our children & even now with grandchildren. we have always rented thru Seabrook Exclusives and have always been very happy & very satisfied with the retal property. The manage-ment team has always been very helpful & good on follw up to ask if we are satisfied, need anything & to let us know they are available. Our stay could not have been better. We have stayed at Pelican Watch many times before and we found this villa to be clean and well appointed. 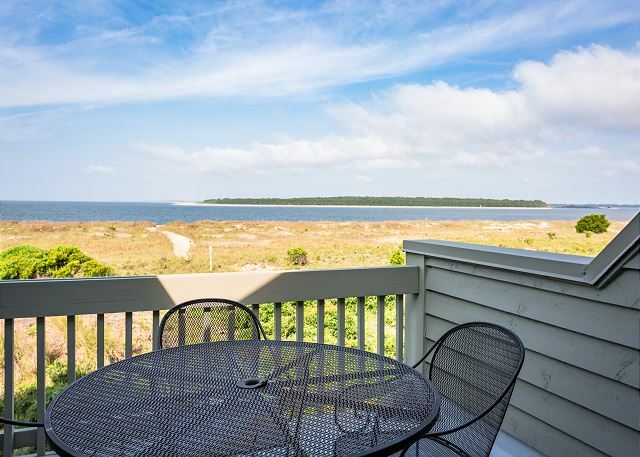 The Pelican Watch properties are located with a great view of the ocean and bay with miles of beach that is often deserted, except for you and the dolphins. The Seabrook experience is great for relaxation. We were amazed with the convenience of the reservation and check in/out process. We made the reservation online at the Pam Harrington website. In a couple of days we received the villa key and the amenities card by mail. We only had to deal with a person when we picked up our car pass at the Seabrook gate when we arrived. When we left, we turned in the amenities card at Seabrook then drove to the nearby Pam Harrington office and dropped the key in the box. To summarize, the villa is top notch. We have stayed at Pelican Watch properties for many years and 13102 is second to none. The only issue is that the wireless internet router is located in the bedroom and is not effective if you try to connect in the livingroom or on the deck. We did find another network apparently from next door that worked ok for us. We have dealt with several property management companies in the past and have decided that from now on we will contact Pam Harrington Exclusives first. Everything went super smoothly. We only have one suggestion for the Pam Harrington group: The driveway to the key drop box located on the office gate is too short to turn a car around easily when the gate is closed. We had to back out of the driveway onto the highway after dropping off our key. Luckily there was not much traffic. A better turnaround would be great. Everything was perfect EXCEPT the extremely loud music and microphone from St. Christopher's Senior High Camp Week every morning during our stay. Seriously, the sound was unbelievably loud. We've stayed at several Pelican Watch units over the years without ever having this level of disturbance. Despite the wonderful condition of unit 13102. in the future we will only stay at Pelican Watch units at the farthest end away from St. Christopher's. Be sure to bike up to Freshfields using the bike path indicated on map: I/2 hour, very scenic. As always, the accommodations were wonderful. The fine weather didn't hurt! For the 3 days that we were there we had an invasion of love bugs. There were 100s of them and they were all over the deck and some even came inside. Not anyones fault but we were unable to enjoy the deck. The unit is very nice and perfect for a few days for 2 people. Thank you so much for your stay with us! I am so sorry you experienced the love bugs! They are infrequent visitors and pop up unannounced and disappear just as quickly. I hope you will visit with us again and enjoy this lovely villa. We love the non-resort feeling of Seabrook, relaxing and natural. We always choose to rent through Pam Harrington, as you can rely on a quality rental. Everything was as advertised. Great rental and experience! Wonderful place to relax and unwind. Only thing I would improve is internet access. From reservations to checkout everything was done in a professional manner, the whole process was easy and everyone at Pam Harrington was helpful. The condo was super clean, great location at this end of the beach. (Deer, birds)! This is the 3rd time we have vacationed in seabrook. We rented bikes and would highly recommend touring the island. The trees are georgeous and provide a lot of shade while enjoying a leisurely bike ride with my 2 sons.we are planning to return next year and would like to spend 2 weeks. 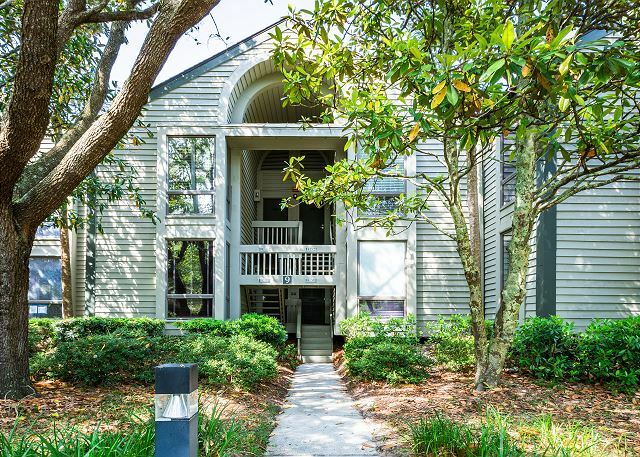 This condo was updated with nice furnishings and a comfortable king size bed in the master. It was absolutely spotless and the kitchen had all the items we needed for preparing meals. The beach was just down the boardwalk and the sunset views from the deck were lovely. Nearby, we enjoyed a fall festival at Bohicket Marina and shopping at Fresh Fields Village. a toddler then and now bringing my wife and two sons--and we have never yet stayed in Pelican Watch (we always had too many guests growing up!)... This was wonderful at Pelican Watch! The views are unbeatable, the walk to the beach club along the water was perfect and the serenity is exactly what we vacation for! Thanks for a beautiful rental and another amazing stay! Another great week in paradise! Our Pelican Watch villa was perfect for our family. The unit was modern, beautiful and relaxing not to mention the million dollar views. Every week at Seabrook is enjoyable but this one was one of the best ever. Our family of four rented 13102 Pelican Watch in July, and everything was perfect. Seabrook Exclusives provided everything we needed for an easy and relaxing stay. The condo is very clean, stylishly updated and all of the furniture and fixtures were great quality. This condo is the perfect location on the beach with direct access right outside of your back patio. Another lovely amenity is that there is shaded parking which is really nice in July. We really enjoyed the family night at Bohicket Marina and the Farmer's Market at Freshfields Village as something new this year, in addition to our favorite Charleston area restaurants and the SC Aquarium. We loved our view and beach accessibility from pelican watch!! Unit was very well supplied , lovely and well managed. Great place, well furnished and good location. Only comment.... Recommend Pelican Watch add outdoor grills to the property in future. This would have been the best winter vacation ever if Seabrook Island was 20 miles closer to Charleston. Recently remolded unit. Excellent condition. Great views of the river and ocean. We loved the location and the spacious feel of the villa. We enjoyed walking the few yards to the beach for long walks to watch the pelicans and dolphins, even though the weather was chilly. It was lovely sitting outside to watch sunsets, which were spectacular -- and we have seen them all over the world. Even though there were others in villas around us, it was very quiet. The kitchen was well-equipped, although we could have eaten at Hege's all week (we ate there twice). We definitely would go back. It was really perfect. The geographic location was ideal. Our view of the dunes and the sea was incomparable. The apartment itself was comfortable, clean, charmingly decorated. My vacation with my niece was relaxing and revitalizing and we thank you. Can't wait to go back!! I have loved Seabrook Island for years, but this was the first time I have rented one of the condos on the beach. It was absolutely wonderful. The view, the sounds, well kept grounds, sturdy boardwalks to the beach... all simply wonderful. We'll be back!